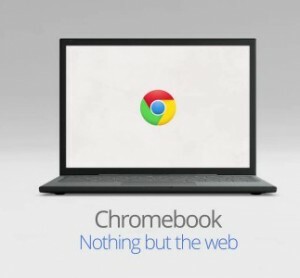 Chromebooks are increasing in popularity as time goes by, but up until recently lacked the support from Google to be able to run a Virtual Private Network, or VPN. After much badgering from its customer base, Google finally made the decision to launch support for VPN on Chromebook, although it is still able to support only L2TP/IPSec encryption protocols with Pre Shared Key. Because of this, you will need to pay special attention to the features offered by the VPN provider you’re thinking to sign up with, particularly when it comes to the encryption protocols on offer. Most VPN providers will let you know whether the service is capable of working with Chromebook, but it can be helpful to double check that L2TP/IPSec and Pre Shared Key is included. Why Do I Need A VPN For Chromebook? Like any other device that you use to connect to the internet, the Chromebook is vulnerable to attack from hackers, spammers and identity thieves, particularly if you sometimes use a public internet connection to browse. A VPN can keep you safe from nefarious intrusions by routing all the data you send and receive through an encrypted tunnel; even if a hacker were to get their hands on it, it would take literally billions of years from them to then break through the encryption. A VPN can also come in handy if you’re travelling abroad and you’d still like to be able to use your Chromebook to access creature comforts from home. Video streaming services, internet banking, radio stations and television catchup streaming options all tend to require that your IP address show that you’re still in your home country. With a VPN for Chromebook, you can select a server in your home country and the VPN will replace your true IP address with one from its server location, allowing you access to all the sites you need. Any Special Considerations With VPN For Chromebook? To install a VPN on Chromebook, you don’t need to take any extra steps above and beyond the normal process of installation. Locate the network icon at the top of the screen, click “Add Private Network” and fill in the information that was provided to you by your Virtual Private Network provider. Though VPN for Chromebook only works with L2TP/IPSec and that may occasionally limit you, the good news is that it’s one of the more secure encryption protocols on offer. It’s a step up from PPTP and will keep you safer from hackers and other forms of unwanted access and spying.